Origin of name  Many large pines grew on the property's furthermost point. 1686  Spanish marauders sacked the area and destroyed the plantation. 1852  Legare appeared on a map of the area for Point of Pines (1, p. 2). 1861  Union troops took over Point of Pines Plantation. The plantation's slaves and others from the area proclaimed themselves to be free (3). 1985  Julian Mitchell owned the property for many years until his death in this year (1, p. 2). 1986  The plantation was owned by the Estate of Julian Mitchell (1, p. 1). At one time there were perhaps as many as 25 slave cabins. 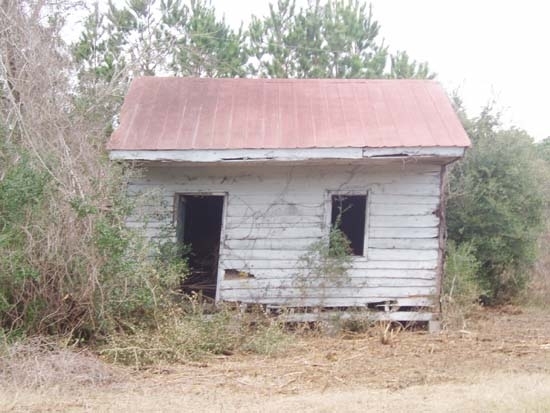 In the early 2000s, the plantation had three of the few remaining slave cabins on Edisto Island. In May 2013, the Smithsonian Institution dismantled a cabin to transport it Washington, DC where it will be displayed at the National Museum of African American History and Culture (3). Today, the remains of the house's foundation (made of tabby, which is a cement made of lime, sand or gravel, and crushed oyster shells) can still be seen near the river.